One prime candidate for the iffy No. 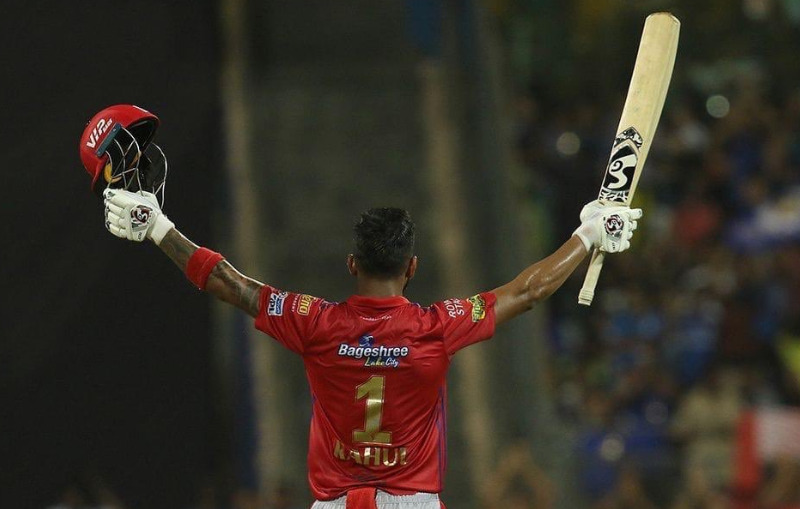 4 slot in the Indian cricket team playing XI for the ICC World Cup would be KL Rahul, thanks to his good form in the 2019 (IPL) Indian Premier League (Pic: Rahul, Twitter). Even during a ‘regular’ season, if there is any such thing, it is practically unimaginable for any cricketing development outside of the Indian Premier League (IPL) to hog the limelight. And, this has been far from a regular season. The captain of one franchise has run a batsman out at the non-striker’s end for leaving his crease too early. The skippers of the winning and the losing side in the same game have publicly slammed a reputed umpire for missing an obvious no-ball that might have influenced the outcome of the contest. And a fourth captain has nonchalantly sauntered into the middle during a tense final over to wag his finger at an umpire who overturned a no-ball call, only escaping with a nominal slap on the wrist because he answers to the name of MS Dhoni. Yes, safe to say within the first three weeks that this has been far from a regular season. Yet, at a conservative estimate, for at least a few hours on April 15, the focus will, inarguably, shift away from the IPL, and move temporarily towards the ICC Cricket World Cup, still some seven weeks away. Inevitably so, because that’s the day the five wise men of Indian cricket will meet to nail down the 15 that will be entrusted with the singular responsibility of bringing the Cup back home. As in most team selections, a majority of the squad will pick itself. It’s three or four places that will catalyse discussion within the selection panel, Virat Kohli and Ravi Shastri, and trigger heated argument and debate outside that closed-door meeting. After all, every Indian invested in cricket has an opinion, everyone is a selector in his own right. Kohli and MSK Prasad, the chairman of selectors, have both stated more than once that performances in the IPL won’t count for much. That’s understandable; the challenges and demands of the 50-over game are vastly different from the more intense abridged version. At the same time, given that this is the first time the 50-over World Cup immediately succeeds the celebrated Twenty20 league, it will be impossible not to be swayed by the form of, say, a KL Rahul. More of that later. Virat Kohli (capt), Rohit Sharma (vice-capt), Shikhar Dhawan, Dhoni (wk), Kedar Jadhav, Hardik Pandya, Bhuvneshwar Kumar, Kuldeep Yadav, Yuzvendra Chahal, Jasprit Bumrah, Mohammed Shami. That’s 11 out of the way, four to go. And, in that quartet, lies the elusive No. 4 that India have been chasing for a long, long, long time now. Had India pushed Dhoni up to No. 4 at the time he abdicated the ODI captaincy throne at the start of 2017, they could so easily have found a solution to a problem largely of their own making. Various batsmen have batted at that position since the last World Cup in Australia and New Zealand in 2015, but few have been allowed the chance to either play themselves into the side, or out of it. Since the start of 2018 alone, India have used seven different batsmen at No. 4 in 33 matches. Kohli and Rishabh Pant batted once each at two-down, Rahul twice, Dhoni thrice and Dinesh Karthik on four occasions. Ajinkya Rahane was discarded after five outings in South Africa at the start of 2018. If anyone has got a long rope, it’s been Ambati Rayudu, the experienced Hyderabadi who has hogged the No. 4 slot in his last 14 innings. Rayudu, 33, has made one century and two half-centuries in those 14 outings, apart from two scores in the 40s and three not outs, but was dropped from the XI for the last two home ODIs against Australia last month after mustering 13, 18 and 2 in the three preceding matches of that series. The right-hander averages 47.05 in his 55 ODI appearances, and was touted by his skipper as the one to have ended the search for No. 4 after his consistent run at home against Windies last October. Is that still the case? And if not, then who? There is a case to be made for Vijay Shankar, the Tamil Nadu all-rounder who has batted in only five of his nine ODIs, never at No. 4, and averages a middling 33. But Vijay has shown how much he has come on as an attacking batsman since his misadventures in the 20-over Nidahas Trophy in Colombo in March 2018, has a calm head on his square shoulders, and can offer a few insurance overs, a luxury no one else in the top six apart from Jadhav with his parallel-to-the-ground off-spin provides. Then, there is Rahul, the immensely gifted stylist whose ODI career has hit an inexorable tailspin since a stirring debut in Zimbabwe in June 2016, when he smashed a century. After starting off with scores of 100*, 33 and 63* in that series, he has played only a further 11 games in three years, with six single-digit scores and a lone half-century. That he can double up as the third opener could tilt the scales in favour of his inclusion in the extended 15, if not the first 11. A string of tall scores in the IPL, including an unbeaten century just a few nights back, won’t hurt either. Which brings us to Pant. Like his illustrious Delhi-mate Virender Sehwag, he is a bit of an enigma when it comes to white-ball versions. His gung-ho attitude would appear the ideal formula for success in limited-overs cricket, but he doesn’t quite have the 50-overs numbers – an average of 23.25 in five ODIs, and 29.73 at a strike-rate of 104.87 in 41 List A matches. Will his left-handedness, the X factor that he is touted to bring and his second wicket-keeper status, however, compensate for impetuosity and a pronounced propensity to believe that only leg-side boundaries exist? And what of Karthik, the man who has donned so many roles that he himself might not be exactly sure what he is? There is a school of thought within the decision-making group that a mere 91 ODI caps since his debut 15 years back is a reflection of his inability to make himself indispensable, but all wicketkeeper-batsmen have been in cold storage since the electric arrival of Dhoni in December 2004. It will be a travesty if that were to be held against Karthik. Three of this quintet should make the cut, including the reserve batting options, but which three? My vote is for Rayudu, Vijay (not only but also because he can send down a few overs of medium-pace), and Rahul, who has also shown great comfort standing up to R Ashwin, Mujeeb ur Rahman and M Ashwin for Kings XI Punjab. Perhaps a touch unfair on Karthik, but that’s the way the cookie crumbles. As for Pant, I feel he can and should wait. His time will come, it is not right now though. And so the final spot. A fourth seamer? A third spinner? I’d go with the latter option and, obviously, Ravindra Jadeja. He is worth his place in the squad on his fielding alone. Agreed, he had a poor Champions Trophy in England in 2017 and went out of the white-ball scheme of things alongside Ashwin, but how can he not figure in the squad? A fourth specialist seamer might be superfluous with Pandya in the mix and Vijay offering further back-up. More reason then to plump for Jadeja, whose left-arm spin can offer control on a bad day, and who can light up the tail-end of an innings with his uninhibited hitting. Now to see if the selectors get it right! Kaushik is a veteran cricket writer who has reported on over 100 Tests. He co-authored VVS Laxman's autobiography '281 and Beyond'.